Honda Couple Lineup Information: What Are The Different Coupe Models? Which Honda Coupe Model is Right For You? 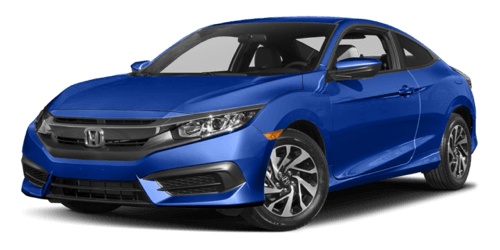 Honda coupes exemplify the automaker’s commitment to fun-to-drive performance and refined styling. 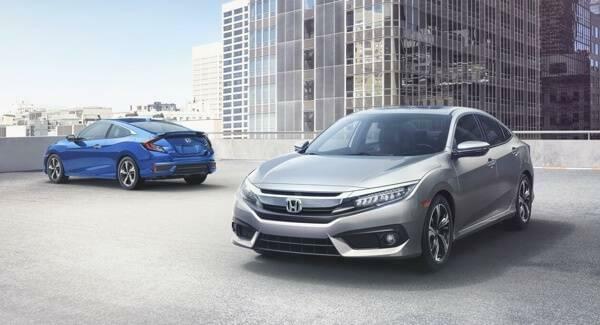 Goshen and Monroe drivers will feel confidently connected to every twist and turn as their sleek and sporty Civic Coupe or Accord Coupe cuts gracefully through the air. With anything from V6 power to hybrid technology under the hood, pinpoint handling and track-inspired responsiveness come standard. Beyond pure performance, Honda coupes feature clean, uncluttered interiors with a focus directed noticeably around the driver’s cockpit, plus a full range of cutting-edge comfort and convenience features. Accord Coupe: Generates up to a staggering 278 hp and 252 lb-ft of torque from a state-of-the-art available 3.5L V6 engine. Civic Coupe: You’ll be able to command up to 174 hp and 162 lb-ft of torque thanks to an available 1.5L turbocharged in-line 4-cylinder. Each model is available with a 6-speed manual transmission for swift shifts and complete control or a Continuously Variable Transmission (CVT) for convenience and efficiency; the Accord Coupe also offers a 6-speed automatic. Honda coupes are most clearly defined by their envy-inducing lines and swooping, sport-focused profiles, but that kind of attention continues within the cabin. The interiors are just as bold and performance-inspired as the body itself, with driver-centric layouts that underline their status as vehicles made for enthusiasts. That’s a point further emphasized by available styling and control features like brushed aluminum pedals and paddle shifters. Despite that dedication to performance, these coupes always emphasize comfort throughout, for both the driver and passengers. Dual-zone automatic climate control is available with all models (and comes standard with the Accord Coupe), and the seats can be heated to ensure total comfort during the chilly months of winter. To blend comfort with luxury, Goshen and Monroe drivers also have the opportunity to equip these Honda coupes with stunning leather-trimmed seats. Drivers will be able to take advantage of a strong range of comfort, convenience, and entertainment features from their Accord Coupe, Civic Coupe, or CR-Z. Each vehicle allows you to stay connected to friends, colleagues, and family members on the go thanks to Bluetooth HandsFreeLink and an innovative SMS Text Message Function. 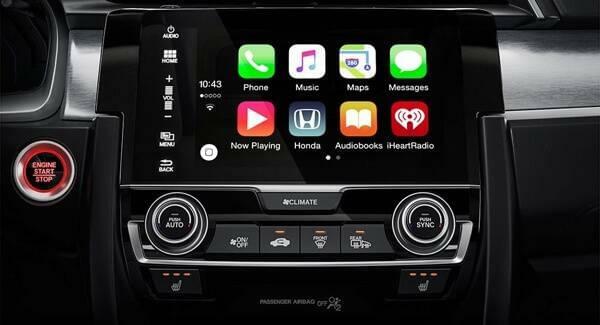 The ability to stream audio also comes as standard to ensure an unlimited driving soundtrack, and both the Accord Coupe and Civic Coupe let you sync your smartphone in seconds using either Apple CarPlay® or Android Auto™. A Speed-Sensitive Volume Control system will automatically increase the volume of both calls and music when the engine revs. Backing up remains safe and convenient thanks to Honda’s handy multi-angle rearview camera, which offers three rear viewing modes (Normal, Top-Down, and Wide), and drivers receive turn-by-turn directions with an optional GPS navigation system. 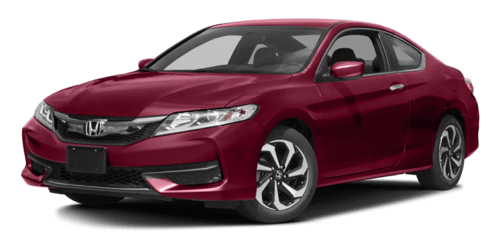 Accord and Civic Coupes are even available with some of the latest driver-assistance technologies, including adaptive cruise control, lane keep assist, and collision mitigation braking. Both Honda Coupe models deliver incredible performance, design, and tech features that ensure you want to spend more time behind the wheel of these models. The 2017 Honda Civic Coupe is a powerhouse on the Monroe roads, and it’s not something you’ll want to take for granted. While the higher-end 3.5L engine offers incredible horsepower, you can still get excited on the standard 2.0L engine that offers 158 hp of power. Throw in the wealth of incredible safety features, and this model allows you to bring home something truly unique. When it comes to power, the new 2017 Honda Accord Coupe is the way to go. The 3.5L engine delivers power that lets to twist and turn through the roads while achieving perfect handling. Aside from performance, this model also comes with standard features like dual-zone climate control, HomeLink remote system, leather-wrapped steering wheel, rearview camera, and so much more. All Monticello drivers want a coupe that creates a buzz on the road. When you bring home the Honda Accord Coupe or Honda Civic Coupe, you’ll get everything you want and then some. Visit our dealership today at 520 Rte 211 E in Middletown, NY, to find the right model for you, or feel free to contact us online or by phone at (855) 473-3050 to schedule your test drive or apply for financing.